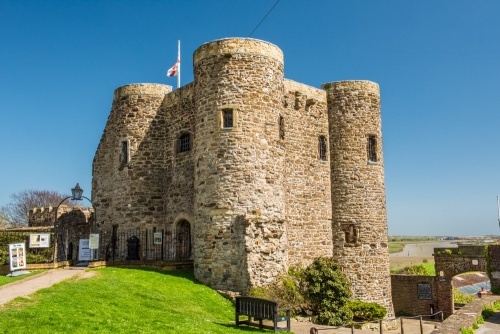 There are two museums lumped together under the umbrella of the Rye Castle Museum. The more historic of the two is the Ypres Tower site. 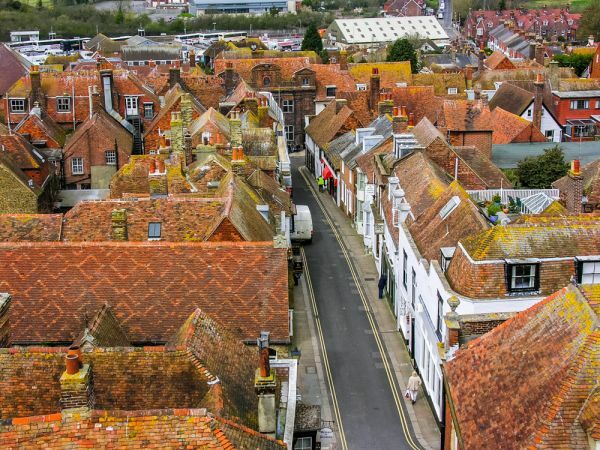 The tower is one of the oldest buildings in Rye; it was built in 1249 and houses local pottery, displays relating to smuggling, armour, replica medieval weapons, and a recreation of a medieval herb garden. The East Street venue of the museum is housed in an old bottling factory and is focussed on the story of Rye's history over the centuries. Displays include Cinque Ports Regalia, the shipbuilding industry of Rye, the changing coastline, and the Old Rye fire engine, built in 1745. There is a special children's quiz that our youngest child, aged 7, enjoyed very much. The Rye Local History Information System is also located at the Rye Castle Museum. 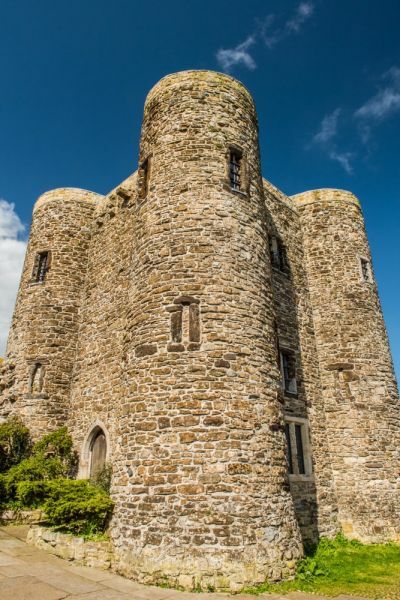 Rye Castle is almost as old as Rye itself, and has remained remarkably unchanged over the 750 since it was built. The castle began in the mid 13th century when Henry III ordered a fortified tower to be erected. The new castle was known as Baddings Tower. In 1377 the town was badly damaged in a raid by the French. The invaders burned most of the town, but the castle was one of the very few buildings to survive. It was later used as a court hall until a dedicated courthouse was built. In 1430 the Corporation of Rye sold the castle to Jean d'Ypres, a cloth merchant. 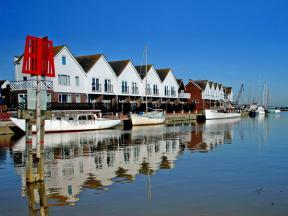 As the name suggests, Jean was a native of Ypres, in France, but he owned several other properties in Rye. He sold the castle in 1452, just 22 years after he bought it, but his name continues to be linked to the castle to this day. The castle passed through the hands of several private owners until the Corporation of Rye bought it back in the late 15th century. By 1495 it was being used as a gaol and court hall. The next major change did not occur until 1837 when the Women's Tower was built adjoining the Ypres Tower. The Women's Tower housed four cells for holding female prisoners. Between the Women's Tower and the Ypres Tower was a prisoner's exercise yard, which has now been converted into a recreation of a medieval garden. In 1891 a police station and cells were built so the castle was no longer used to incarcerate prisoners. The tower basement was then used as the town mortuary. 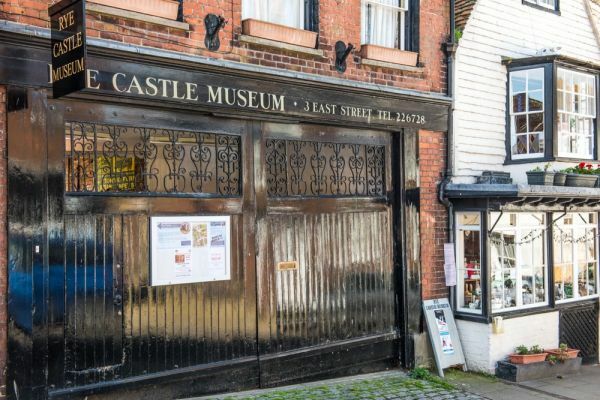 In 1942 the castle was damaged in an air raid that destroyed several nearby buildings, including Battery House, the original home of the Rye Museum. The museum was moved into the tower after the war. The restricted space meant that eventually the museum outgrew the castle and the East Street venue was opened in 1999 to display items from the museum collection. There are three floors to explore in the castle. One of these is below ground level and has a display of weapons. 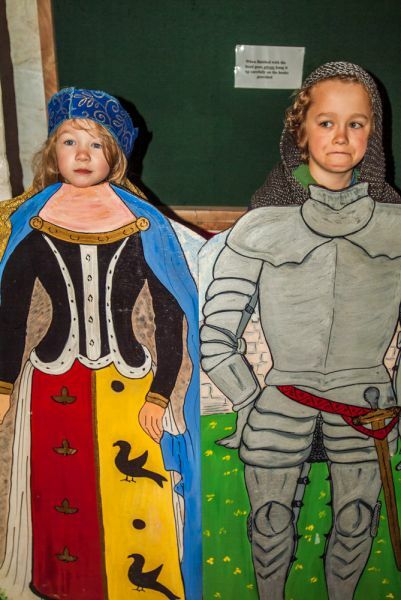 Children will enjoy trying on a medieval helmet and trying to lift a heavy broadsword or bend a longbow - it's harder than it looks! 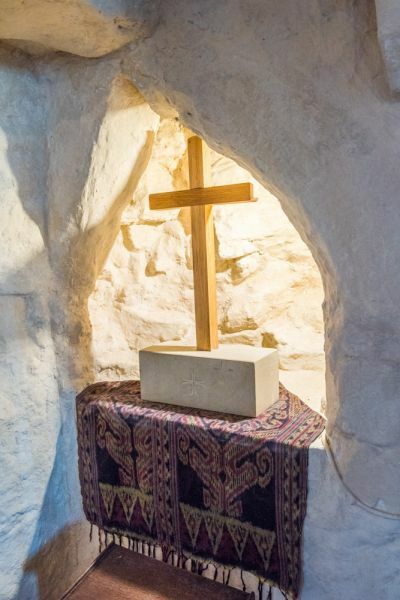 Also in the cellar is a small niche though to have been used as the castle chapel. On the ground floor is an exhibit of police artefacts, gaol cells, and a rather gruesome gibbet for hanging felons. A 'Still Room' displays medieval herbs, many of them grown in the castle garden. A spine-curdling exhibit on the ground floor is the gaol cell where John Breads was held before he was executed for murder in 1743. Breads was a butcher and owned The Flushing Inn in Rye. The mayor, James Lamb, fined Breads for cheating his customers. Breads stewed over the fine for 5 years before ambushing a man he thought to be Lamb in the churchyard. According to a rather dubious tale, he shouted 'Butchers should ill Lambs' as he stabbed his victim in the back. Unfortunately for Breads, his victim was not Lamb but the Deputy Mayor, Allen Grebell. Breads foolishly left his knife at the scene, so he was captured, held in Ypres Tower, and tried for murder. The judge was his intended victim, Mayor Lamb. Not surprisingly, Breads was convicted and executed, but only after he was taken to the Flushing Inn for one last drink. After his execution the corpse was wrapped in chains and put on public display in a gibbet, a cage-like object used to display the body of an executed criminal in public as a warning to viewers. The body remained on display for 50 years. In the cell where Breads was held is a replica of the original gibbet, which was held in the attic of the Rye Town Hall. Also in the attic was Breads' skull, all that was left after local women stole his other bones to make a cure for rheumatism. On the first floor is a display on Rye's history as a centre for smuggling, plus old military uniforms, weapons, and maritime artefacts. One fascinating exhibit is a model of Romney Marsh. showing how the Marsh has changed over time as the sea receded. 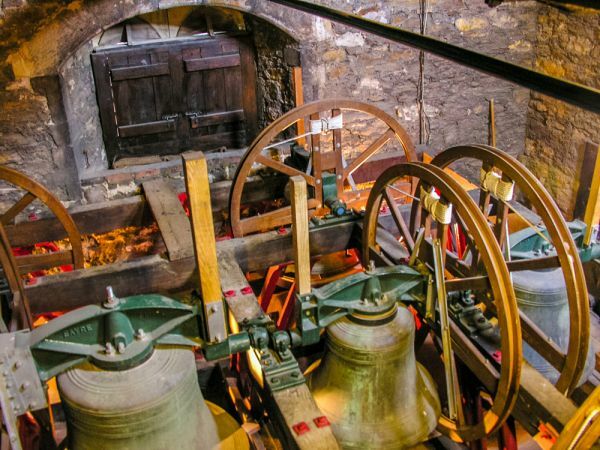 You can climb to a viewing terrace on top of the tower for wonderful views over the town and out to sea. 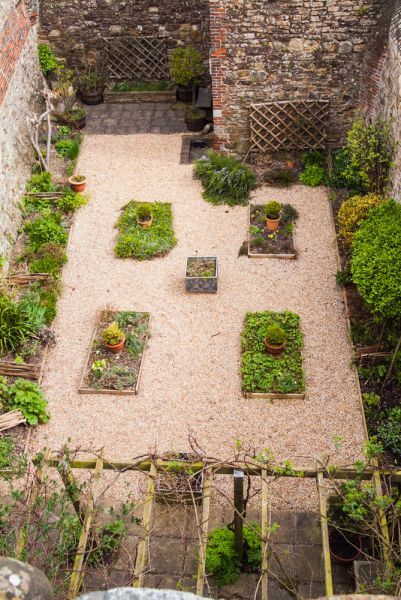 The tower also gives you a view down into the castle courtyard, now holding a recreated medieval garden, featuring unusual herbs used for cooking, medicine, and household purposes. 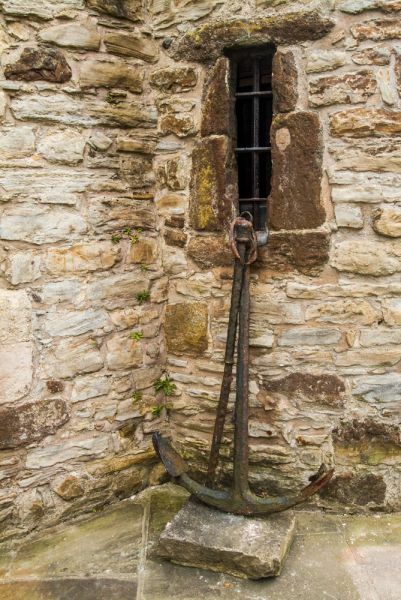 At the far side of the medieval garden is The Women's Tower, where you can learn what life would have been like for women held prisoner there during the 19th century, with a recreation based on two real-life characters known to have been imprisoned here. 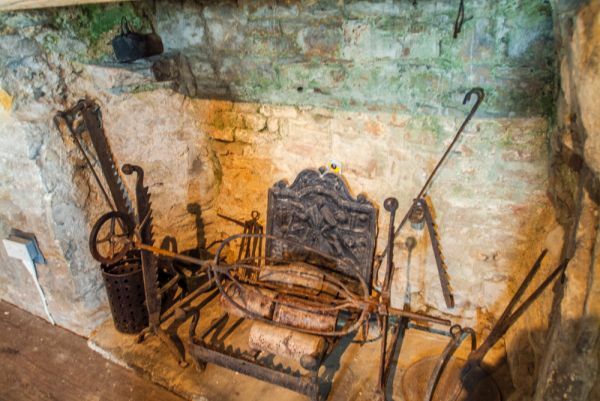 This is thought to be the earliest purpose-built women's prison in Britain. Just below the castle is a gun platform, with several old cannons looking out over the marsh below, where you can see Camber Castle in the distance. Ypres Tower is very well signposted around the historic core of Rye. There is no parking on site, so you'll have to rely on one of the paid parking areas. There are several within a 5-minute walk from the castle site. We used one of the two parking areas on Fishmarket Road (the A259). 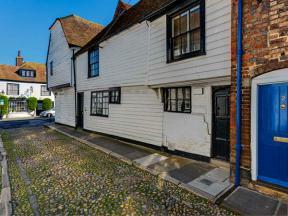 This Grade II* listed cottage in Rye sleeps four people in two bedrooms.